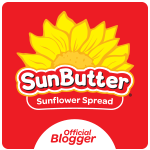 I recently reposted a blog about Nucoa margarine. I use this product regularly for baking. However, last year when it underwent a reduction of 10% to 7% fat, not only did the packaging change, but so did the taste. I find it leaves an unusual after-taste when using it as a spread. 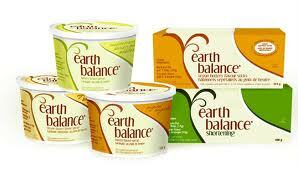 earth balance natural butter spread Review from S.A.F.E. There was one margarine that stood out as an alternative that others suggested I try. I did... and I prefer it for every day use, hands down. All of their spreads are GLUTEN AND LACTOSE FREE. They are also NUT FREE with the exception of their peanut and almond butter. Looking for SOY-FREE margarine? They have that too. earth balance natural buttery spread, tub version, owned and distributed by EARTH BALANCE, A DIVISION OF GFA BRANDS, INC, Niwot, CO. The listed ingredients are as follows: NATURAL OIL BLEND (PALM FRUIT, CANOLA, SOYBEAN, FLAX AND OLIVE), FILTERED WATER, CONTAINS LESS THAN 2% OF SEA SALT, NATURAL FLAVOR (PLANT DERIVED FROM CORN, NO MSG, NO ALCOHOL, NO GLUTEN), PEA PROTEIN, SUNFLOWER LECITHIN, LACTIC ACID (NON-DAIRY, DERIVED FROM BEETS), AND NATURALLY EXTRACTED ANNATTO FOR COLOR. It also states on the tub: GLUTEN-FREE, EXPELLER-PRESSED OIL, VEGAN, LACTOSE-FREE, CERTIFIED NON-GMO; NON-DAIRY, 0 (ZERO) G TRANS FAT, EXCELLENT SOURCE OF ALA OMEGA-3. 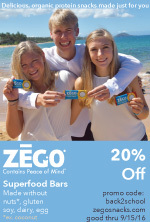 For more information, visit them at: http://www.earthbalancenatural.com/ or call 201-421-3970. Give their website a little bit of time to fully come up. You will see a small tub of earthbalance towards the bottom of the page. Move your cursor over this and you will see their product links. Want to know which specific allergens aren't in a specific spread? Click on the 'nutritional benefits', then 'Allergies'. One small surprise about the distributor, GFA. Would you believe that both margarines, Earth Balance and Nucoa, have the same distributor? Earth Balance is from Colorado and Nucoa is from New Jersey. This really is a tasty spread to be used on toast, pasta, vegetable or any other food you like! Let me know what you think or if you have other suggestions you would like passed on. Hope this makes your holiday baking and cooking even easier! I use this in my house Daniella! I have used the dairy and soy free in my home for years. My eldest has a dairy allergy as you know... but then my youngest had a soy allergy for his first six months of life ~ fortunately he grew out of that one! Thanks for posting! I love this brand of margarine. I think it tastes great on anything. The fact that there is also a soy-free version for families is also a huge plus for many.